HO Storage Box Set. Includes One Rolling Stock Storage Box and Six Long Car Storage Boxes. Rolling Stock Storage Box measures 1.75" x 12" x 19". 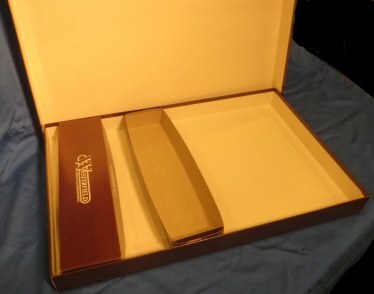 Long Car Storage Box measures 1.625" x 3" x 12" or HO Scale 87 Ft Long. Will hold most passenger cars or two 36 Ft freight cars.